You know, if you want an illegal bayou, or don't want to have to pay all sorts of nasty import taxes on a bayou, you get yourself a bayou smuggler. Only they are able to get these hard-to-transport marshy outlets of a lake or river to you. Oh... they don't actually smuggle bayous. They are just smugglers who happen to reside in a bayou. That... makes a lot more sense. Anyway, Wyrd is showing off artwork for one that wasn't in the Broken Promises book, as well as giving us a bit of background on them. Hey Wyrdos! Another Monday another preview! With Broken Promises released, we are taking a look at some art from outside of the book! 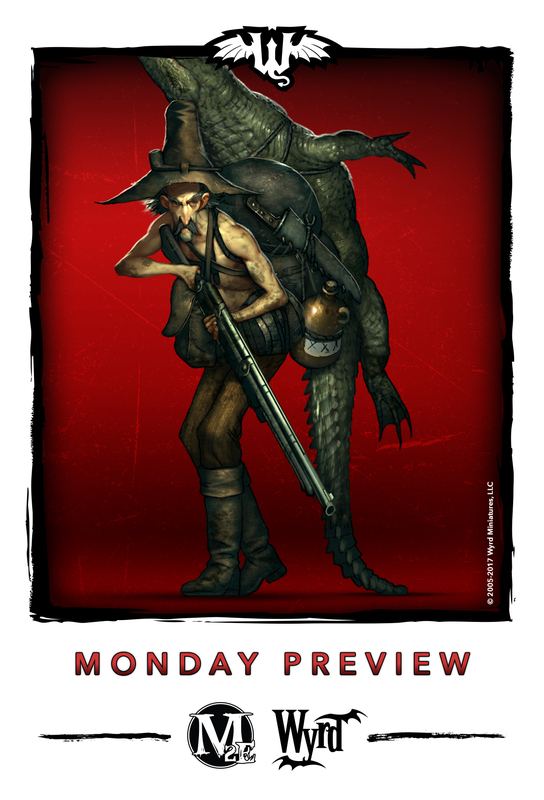 Today we are taking a look at some art for the Bayou Smuggler that isn't in the book! Let's learn a little about this swamp dweller!